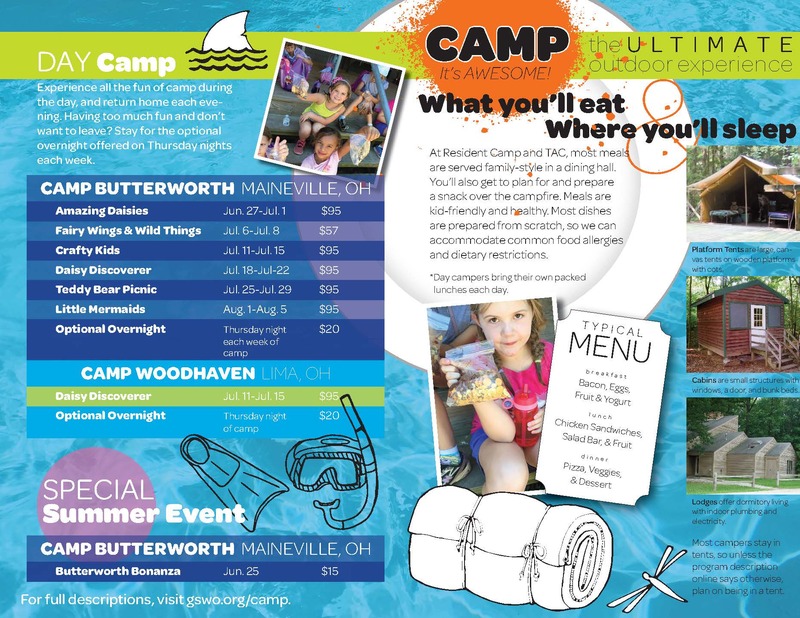 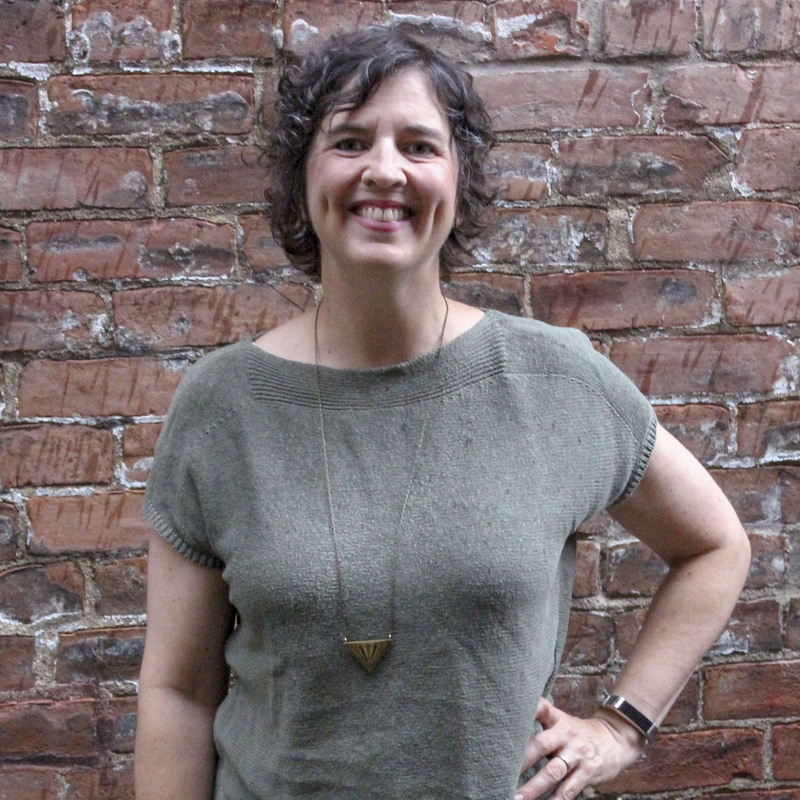 Conceptualized, wrote, designed, and coordinated production for four age-level summer camp guides that included age-appropriate imagery, activities, and information. 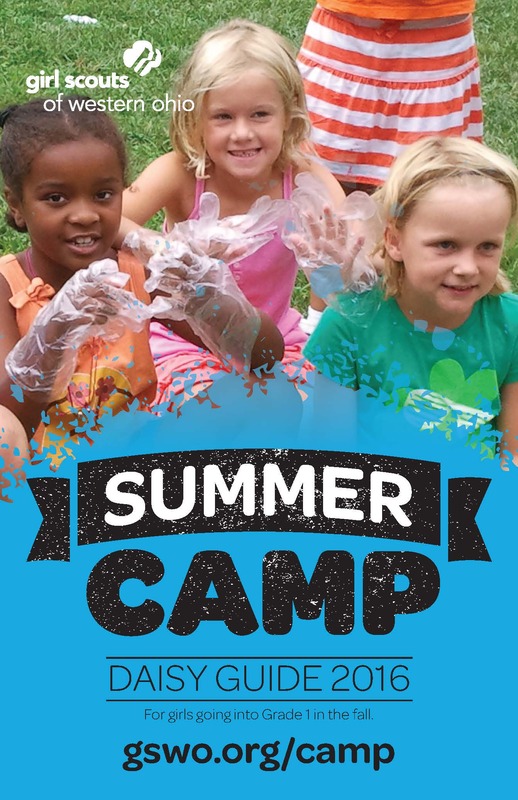 Mailed directly to member households, contributing to a general increase in early registrations and a 13% increase in overall camp registration from the previous year. 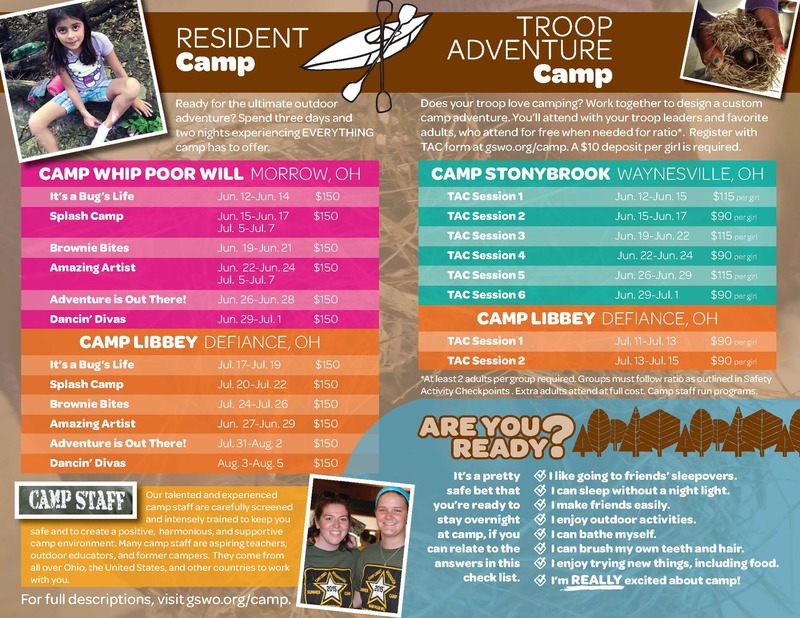 To complement the age-specific camp guides mailed to members’ homes, I revamped camp pages on the GSWO website and added age-specific camp listings, improving the online experience for families looking to review camp descriptions and make decisions before registering. 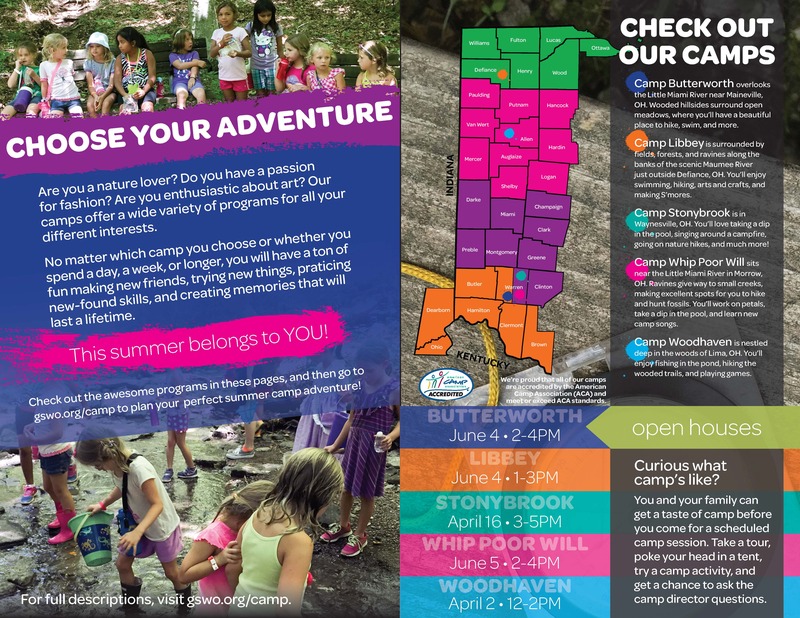 The camp guides and marketing promotions (email and social) contributed to a 61% increase in page views for gswo.org/camp for the day registration opened. 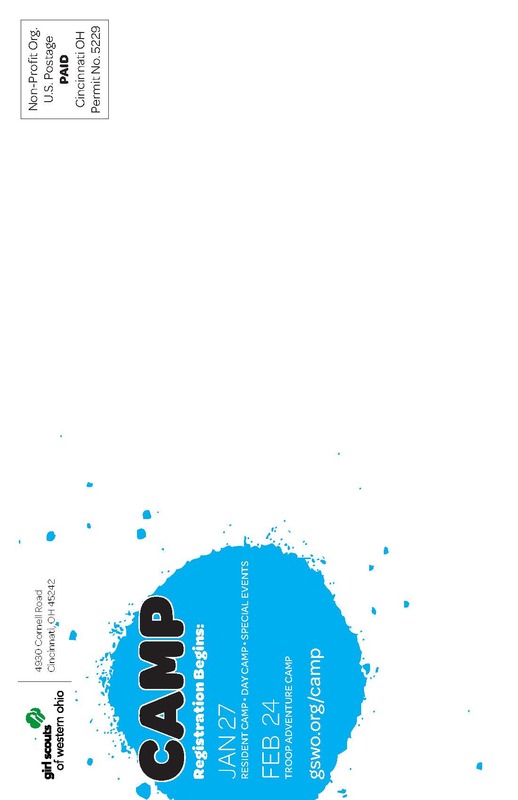 User’s average time on page (ATP) for the new camp listings pages was more than 4 times longer than on the general camp page.